Over the many years and workshops I have held, this is one of the most common questions I am asked. Like many, my first introduction to runes was a book and set written by Ralph Blum which continues to be the most available introduction to rune studies. Unfortunately, I can not recommend it in the least. By the author’s own admission, he took inspiration from books on the Chinese ‘I Ching ‘ divination method. He also introduced erroneous concepts such as the ‘blank rune’. Like many of the mass market rune primers, it bears little historicity and imbues the unsuspecting seeker with poor habits and concepts. It took many years before I was able to find a new introduction to esoteric rune studies, and now numerous volumes on runes grace my shelves. 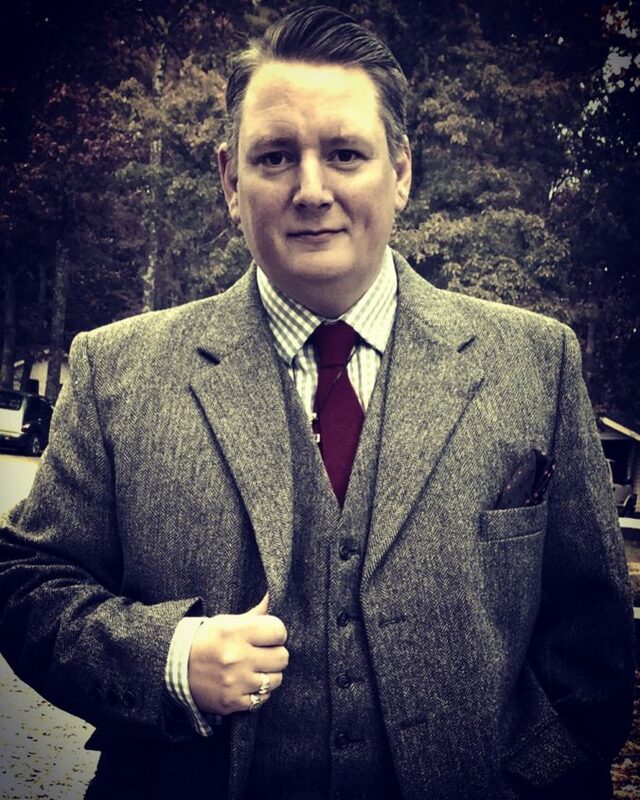 Full disclosure here – I am a member of the Rune Gild. 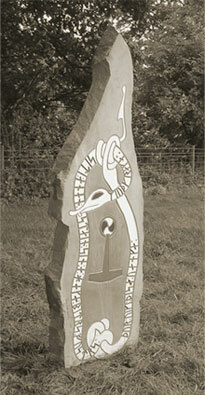 I find it to be a superb place for an open exploration of the runes and sharing of ideas among peers. I don’t, however, recommend it for absolute beginners. It’s best to have a working knowledge beforehand, as it’s easy to become overwhelmed. I also assume, that before delving into the runes, one should have a decent working knowledge of Northern European lore. Without knowing who O∂inn is, or how he gained the runes, there will be confusion and a lack of perspective. Perhaps in another post, I’ll make my recommendations for books more specifically on Germanic lore and Paganism. There are those who believe the runes to be entirely without esoteric application, both in antiquity and in the current age. I am not, obviously, one of those people. There are many good texts that deal only with the archaeology and linguistics of the Runes. I will leave those recommendations to secular academics, as I am neither secular, nor an academic. Let us be mystics together, and seek the mystery! *Note – The links below send you to Amazon, but of course, If you can purchase these directly from local bookshops, please do so. This slim volume is a perfect primer and one I refer back to time and time again. It contains the basic historical texts that the runes feature most heavily in, including the four rune poems (Icelandic, Old-English, Norwegian and the Abecedarium Nordmannicum), 7 Old-English Runic verses, and some other Runic Finds. His explanation of the basic runes and their names is concise and well informed. This is still my first stop for primary information. A true primer, The Runes Workbook is just that. Not simply to be read, but a first stage course on rune knowledge. I recommend taking a rune a week and following his exercises. Much of the work in here is a good introduction to deeper concepts such as the Germanic soul components, rune working and meditation. Although the runes are mostly associated with divination (and this book covers that avenue well), they can be used within a number of magical applications, with chanting, rune yoga, visualization and craft work. This book gives a glimpse into how to begin true runic practices in your daily life. 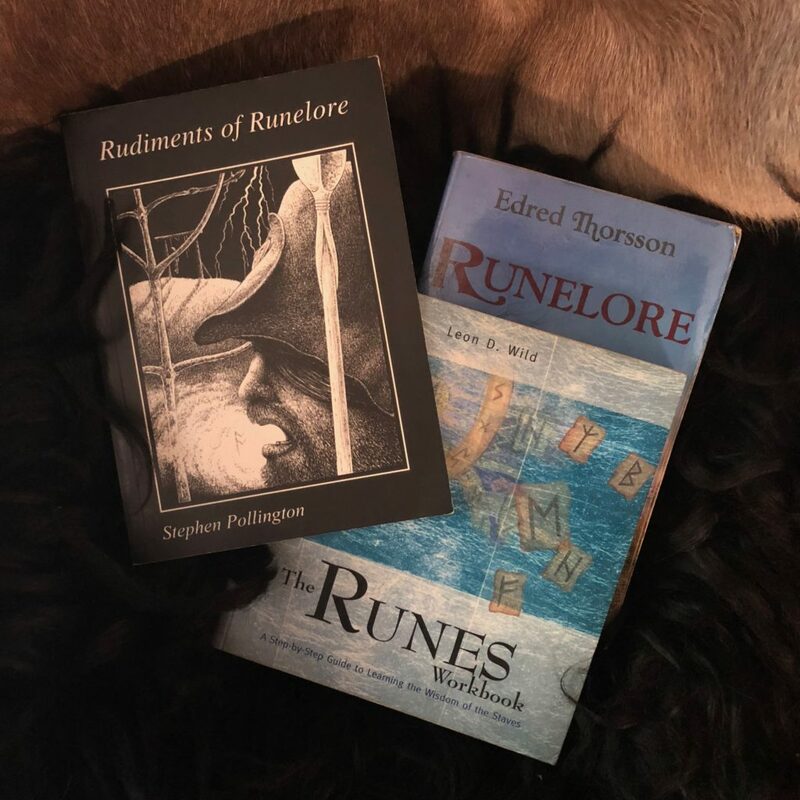 Written by Dr Stephen Flowers under his pen name, Runelore is the book that bridges the gap, from a superficial understanding of the runes to the deeper currents of runology. Edred is the founder and Drighten of the Rune Gild in 1980, and author of numerous books on esoteric subjects, though nearly all pertaining in one respect or another to the Runes. Far denser than my other two recommendations, Runelore delves into the history of runes at length, their various formations as well as the modern revival. It also contains the Rune Poems (I love to look at numerous translations) and delves into the cosmology and correlation to the Gods and Goddesses of Pagan Europe. A short chapter addresses runes from a Psychological/Jungian perspective also. While there are a great number of books on runes by many different authors of worth, these should be a small enough investment to get you started on the path of Runa. I’ll make more recommendations for further education in the future. I hope that you enjoy these! May your journey be fruitful and bring you many stories to tell. 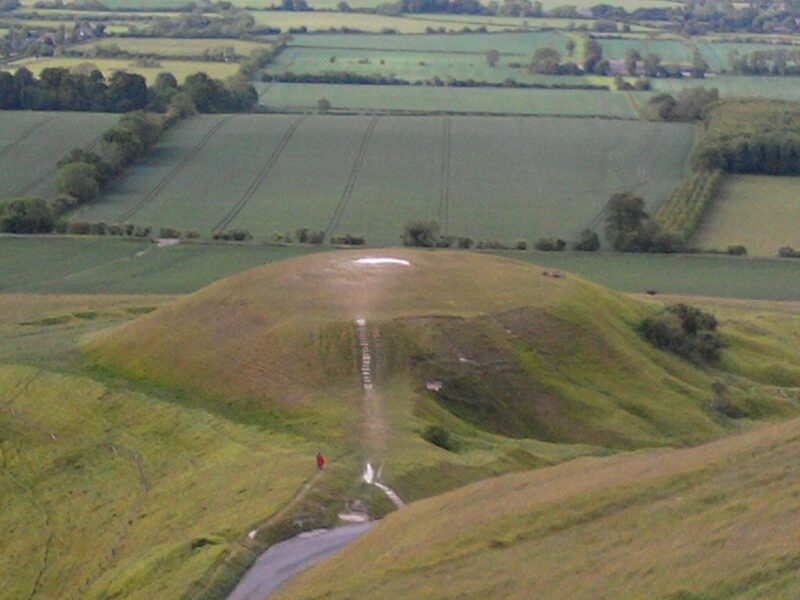 Dragon Hill, near Uffington, Oxfordshire. The chalk shows where grass cannot grow. There, George slayed the Dragon. Today is Saint George’s Day. As I’ve mentioned in my St Patrick’s day post, I’m not a Christian, so as such, I don’t celebrate this as a religious festival, but as a recognition of my English heritage. There are some Christians that would prefer England’s patron saint be an Englishman, perhaps St Edmund or St Alban, however I’m resolved that IF we should maintain a presence of this foreign faith in England, that St George be it’s representative. 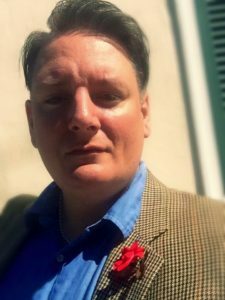 So today, as per the tradition, I wear the red rose on my lapel. close to my heart. The Rose is the united Tudor rose, masterful propaganda from the turn of the Renaissance, the rose is Lancaster and York. The rose is beauty personified, fed by English rain and English soil, and deep scarlet, the colour of blood. The rose is the island, and the thorns the water that protects it. It is the English nation, haughty, hardy, beautiful, and prickly. The rose is the blood of the dragon spilled, or the heart of Fafnir when Sigeweard devoured it, or the wounds of Beowulf left by the defeated wyrm. I don’t care much for crosses, but I love to see St George’s cross fly today as an act of defiance and celebration. 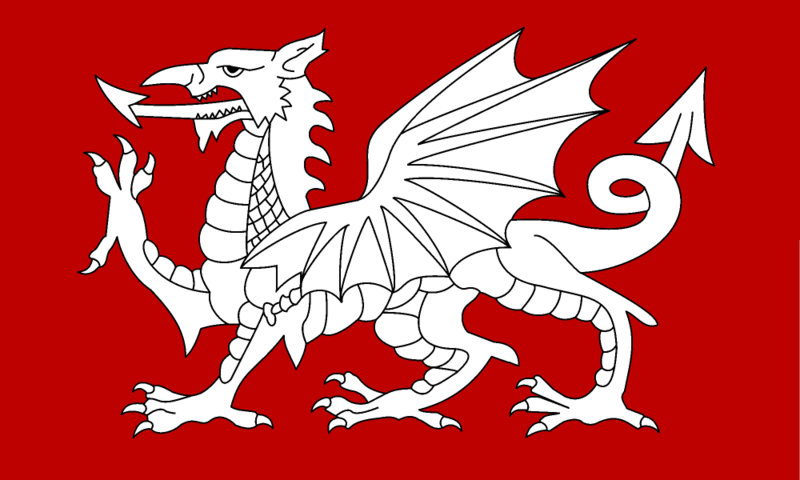 Lo, may we see it replaced by the flag of the white wyrm! Keep the spirit of dragon slayers in your heart always, and today, on your breast, the red, red rose. May we gain the wisdom of our ancient forebears and may we all slay the dragons that stand before us. May there forever be an England. I am no Papist, nor am I an Irishman. St Patrick’s day brings a moment of consternation for the Pagan soul. Weren’t those ‘snakes’ an analogy for the druids? How much knowledge did we lose in the fifth century due to the missions and conversions of Patricius? 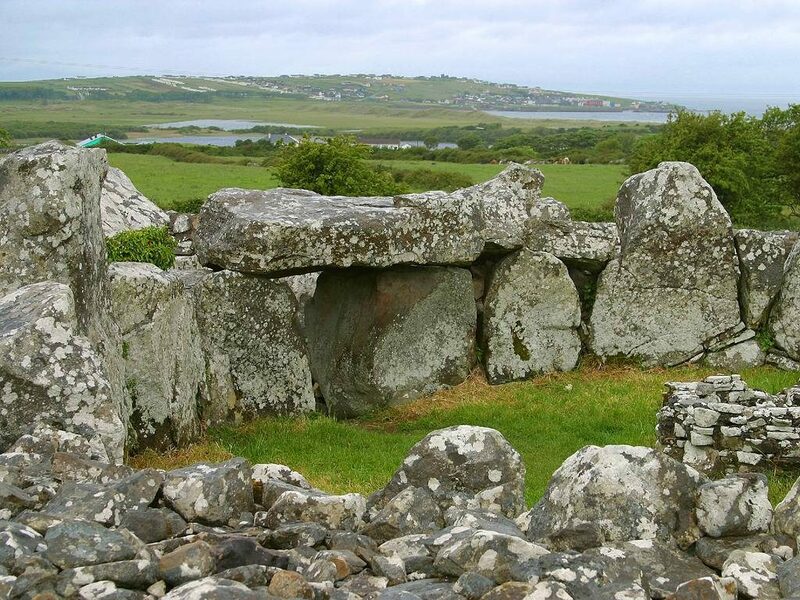 Would we have an unbroken living tradition of Celtic polytheism were it not for that man? It’s true that the lack of snakes in the Emerald Isle has less to do with St Padraic and more to do with the ice age, but as with many legends, they grow around a person who had uncanny influence. 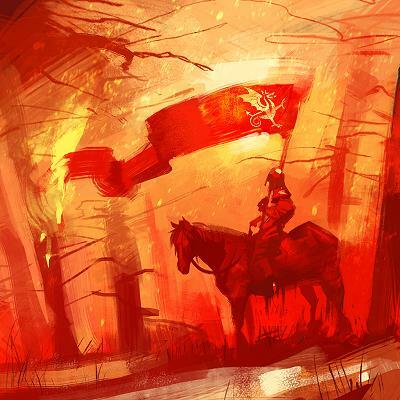 One such legend is that he spoke to mythic heroes of the Fianna, a warrior band of the mythic age, to convince them that real heroism lies in piety! Despite the rancor that this raises among the modern Pagan and Heathen communities, i have found that this day more than any other raises an odd sort of self-righteousness. Declarations against celebrating this particular day abound. Indeed, if one would rather stay at home and engage in a day of prayer and worship to ancient forbears, I’m certain that the soul of St Patrick would ‘tut’ loudly, wherever he resides. Here in the new world, where religion and irreligiousness are celebrated with equal zeal, this day is like no other. As I wander the streets of my adopted American town, I see a wash of green. From stores and passing cars, the musical strains of The Chieftans or Dropkick Murphys can be heard. Festivals, not celebrating St Patrick (or even mere Irish heritage) but rather Celtic heritage spring up everywhere. Bagpipes squeal and young lassies skip high in velvet dresses, never moving an arm. I see this outpouring of connection to Celtic heritage from all the sons and daughters of Europe. I see knotwork and green men on t-shirts. Corned beef and cabbage, sausage rolls and Irish soda bread abound! I see people drinking, laughing, kissing and occasionally brawling. I can not for one second think that these folks are all Catholic. Feasting and community are fundamental to our folkways, and I’m sure the pubs are fuller than the churches. While they may not be Pagans of any stripe, at least they are celebrating a culture of music, poetry, art and wit, without even give a passing thought to old St Paddy, and after writing this, nor will I. So play me some Pogues and pour me a glass for the Emerald Isle, to raise to Celtic folk and snake handlers everywhere, just don’t paint a green shamrock in it. Every man has to have standards. Guido ‘Guy’ Fawkes was not a hero from a comic, not a face to be worn by the anonymous. He was a Papist. In 1605 along with 13 conspirators he attempted to blow up King James I at his state opening at the Houses of Parliament. 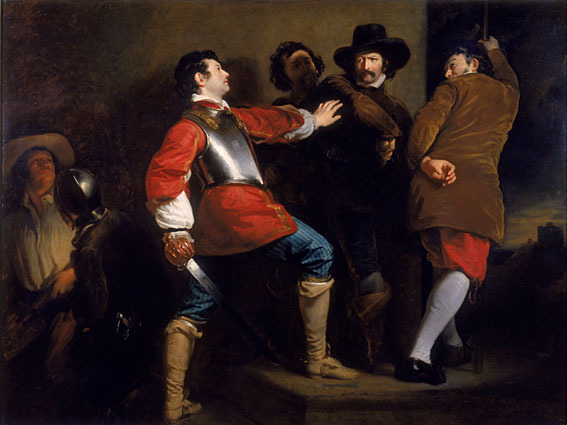 Fawkes aimed to return England to the governance of Rome and the King of Spain. 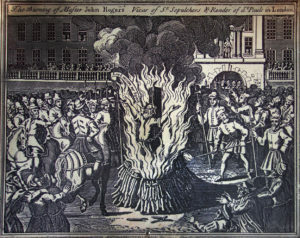 Just 50 years earlier, 300 protestants had been burned to the death for heresy against the pope, during Queen Mary’s purge. No doubt the scourge of ‘Bloody’ Mary was still strong in the minds of the English. Bloody Mary lit a few bonfires of her own. England had been thrown into conflict between Papists and Protestants since Henry VIII, but the fact remains, the Purges of Bloody Mary, against layman and commoners, deserved a heavy handed response. The protestant reformation, as harsh as it was, placed the British Isles under British control and away from Europe. The judgement against those who would have seen Britain bow to foreign masters sent a strong message. Foiled in his plot, Fawkes was tortured, hanged and quartered, his parts being sent to the four corners of the land. Now every fifth of November, the British mark the occasion with ‘Bonfire night’. 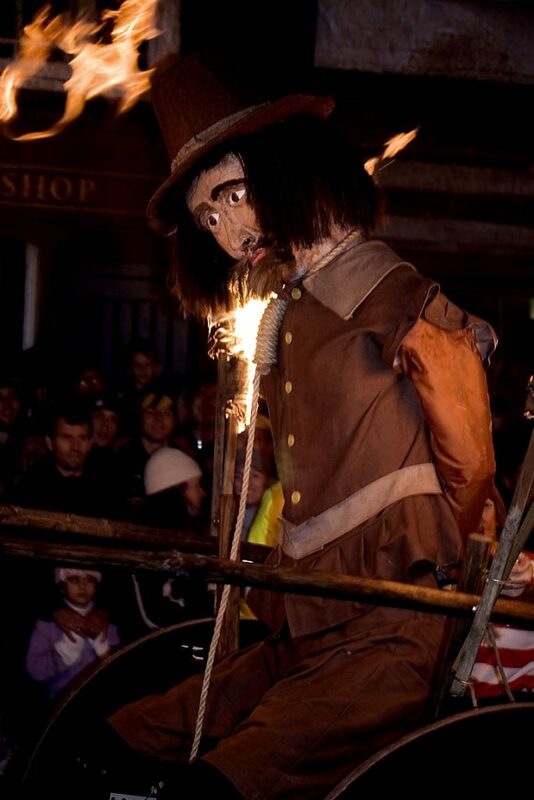 Although the tradition of ‘A Penny For The Guy’ is waning, children still create a grotesque likeness of Fawkes and wheel him about the town, collecting money from those who would give it, before burning him atop the bonfire that evening. As per tradition, folk will be lighting fireworks, eating and drinking, playing music and enjoying what would seem to all outside viewers to be a perfectly nice Pagan celebration. Deep in our primordial souls, I believe we are happiest when celebrating around a fire with friends, and need little reason for it. If one has to have a reason though, this is a good one. Tonight, across Albion, bonfires will be lit and effigies of Guy Fawkes burned. Let the story of Britain’s traitor be told, not in whispers, but with pride. While children warm themselves in the glow, let there be a chill in the spines of those who plot still. Photograph © Andrew Dunn, 5 November 2005. We keep our Harvest-home to-night. Hurrah for the English yeoman! Fill full, fill the cup! Hurrah! he yields to no man! Drink deep; drink it up! All ye who love our Harvest-home. Are kings and queens, are demigods. Fill full; fill the cup! Today is the Harvest Moon, dear friends. Give a moment to the earth as we reap our rewards and plan for the winter. Make merry, enjoy ciders and ales, pour a little to John Barleycorn and the spirit of autumn. Perhaps you will make Corn Dollies this weekend. Of course, our modern wheat, a short, pithy type, easily devoured by combine harvesters, is not the same as the long great staple that my ancestors enjoyed. The type which made a tall figure on a cart when shaped and bundled, and brought into the town. The type that made for a thick thatched roof to stave off the winter chill. I am left to wonder if the sudden distaste for bread in our modern society, and many of the ills claimed by the ‘anti-glutenites’ (begging the pardon of the true Celiac sufferer) isn’t rather a case of poisoning by modern crop and processing. Once one has enjoyed the warm fulfillment of a true traditional loaf, it can scarcely be compared to the soggy brick we call ‘bread’ today. Harvest home follows the festival ‘Lammas’ from the Anglo-Saxon ‘Hlaf-Mass’, literally translated as ‘Loaf Mass’. Indeed, bread was so important to the Saxon, that our very words ‘Lord’ and ‘Lady’ are derived from the Old English hlāfweard (Loaf-Ward) and hlǣfdige (Loaf-Maker). It’s a shame to see moderns disparage the venerable old loaf, but I have seen a return to the old ways recently with a rise of ‘artisanal Breads’ and farm to table bakeries making a name for themselves. For more on this, watch Michael Pollan’s ‘Cooked’ episode on Bread. Whether you celebrate with your kinfolk or alone this weekend as the Autumnal Equinox approaches, this is the perfect time to reflect on the past year. Was your harvest a good one? Have you sown deeds and reaped rewards? Were the Gods beneficent or were you faced with trial? Have you given a gift for your gifts received? Sunna is in her descent and the leaves will turn reds and golds in her honour. This evening, celebrate and honour the earth and to the wights of the land. 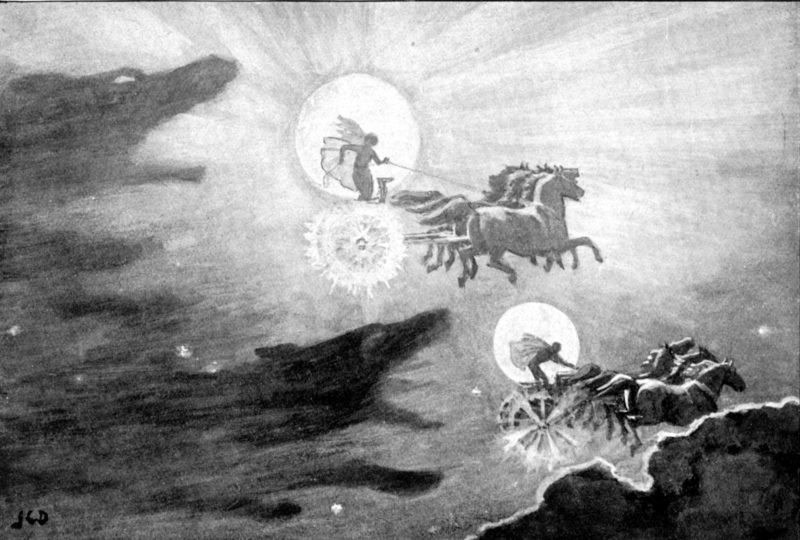 We will have a partial eclipse tonight as Hati the Mooncatcher throws a wolfish shadow across Mani. For tonight, rest and raise a jug of ale, as we know that we have much work to do before the fated day, when that warg devours its prey.